After growing up and completing high school in the Beaches area of Toronto, Chris decided to pursue his interests and enroll in the Business Finance program. Located at Brock University in St. Catharines, Ontario. During the course of obtaining his degree, Chris learned the important facets of finance and what it takes to succeed in business. Chris Olsen graduated in 2006 and set off to travel overseas. Upon his return, he sought experience in another field he was passionate about: residential construction and renovation. Chris honed his skills in both indoor and outdoor residential construction. Gaining a full spectrum knowledge base of the numerous aspects of quality home construction. His excellent work ethic and willingness to complete any job to perfect standards served him well in this endeavor. In 2010, Chris chose to go back to his scholastic roots and work for the Bank of Nova Scotia as a Commercial Banking Analyst. In the three years following, Chris learned why and how successful businesses became so successful. He also learned the value and importance of providing excellent customer service in order to maintain a solid client base. Chris’ success at the bank was based on his precise attention to detail and his willingness to provide superior client care. This resulted in, Chris winning a Scotiabank “Best of the Best” top individual award in 2011. A transition into Real Estate was only natural after acquiring the skills and experience from these professions. Chris’ goal is to provide the best possible customer service experience. Helping his clients succeed in achieving a new home, which is likely to be the most important transaction of their lives. Since commencing his real estate career with RE/MAX Hallmark Realty Ltd., Chris has annually been recognized for sales achievements. Including: Executive Club awards (2013, 2014, 2015), Platinum Club awards (2016, 2017), as well as, being named a member of the Top 35 Under 35 at RE/MAX Hallmark Realty Ltd from 2013 through 2016. 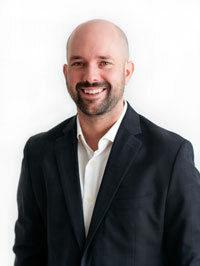 Chris Olsen has been a resident of Leslieville since 2008, where he chose to buy his first home. He absolutely loves the area and the people who reside in this community.